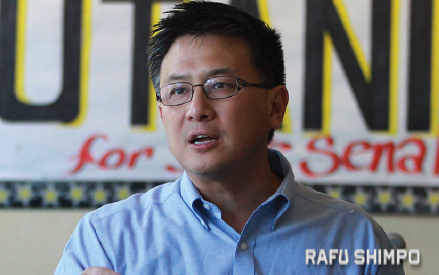 Former State Treasurer John Chiang announced on March 15 that he has launched the Elect AAPI Political Action Committee “to build a more inclusive America” and will serve as its president. Chiang, a Democrat and the son of Taiwanese immigrants, was appointed to the Board of Equalization in 1997 and elected in 1998; was elected state controller in 2006 and re-elected in 2010; was elected state treasurer in 2015; and unsuccessfully ran for governor in 2018. The PAC’s website, www.electaapi.org, includes the following description: “Asian Americans and Pacific Islanders are a rapidly expanding share of the American population and the electorate. Yet, our community has noticeably low AAPI political leaders at the statewide and federal level. “But on an even more dire level, our community is threatened by the policies and rhetoric of a growing right-wing faction of the electorate that seeks to target immigrants, people of color, and our shared commitment to economic fairness and middle-class mobility. “ElectAAPI.Org is a federal political action committee that seeks to support AAPI Democrats for office and oppose the agenda of hatred and nativism that threatens our community and communities like ours. “ElectAAPI.Org will support Democratic AAPI candidates for office through direct financial contributions, mobilizing our community, and independent expenditure efforts. Additionally, we will work to expose policies that threaten our community and work to defeat elected officials who attack our values. “In 2019, there is no rational argument that both parties are the same. The Democratic Party is committed to ideals of inclusion and an economic agenda that reinforces the ‘by your bootstraps’ opportunity for every resident in our country to have a shot at the American dream.